2CELLOS, music’s most electric and dynamic instrumental duo, return with their new album Celloverse (Portrait/Sony Music Masterworks) on January 27, 2015. 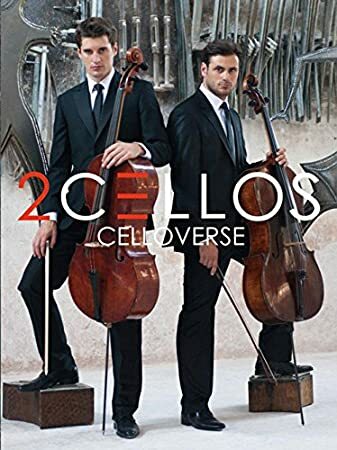 Available now for preorder, Celloverse is supported by a world tour kicking off in Australia and landing stateside Feb. 19 with a sold out concert in Minneapolis (U.S. tour schedule below). 2CELLOS latest music video from Celloverse, “Shape of My Heart,” is their take on Sting’s beautiful song – check it out here. Is Amazon has been sale it? Love to buy.